Ishigami will soon become Suspect X, when he devotes himself to saving his neighbor Yasuko (she of the green bicycle) and her daughter from life in prison after the women kill Yasuko’s ex-husband. That Ishigami has loved Yasuko from afar is soon made clear. The lengths he will go to in order to save her is not apparent until the book’s last few pages. That his efforts are all for nothing, sentencing both Yasuko and Ishigami to a life of penance, makes the Devotion of Suspect X a particularly resonant and memorable read. Plus a host of other characters, including police officers, the nice couple who own the lunch take-away where Yasuko works, and of course the abusive ex-husband. Here’s what I liked: the book was very well-plotted and intricate, with a nice “uh-oh” ending, the cat-and-mouse between the physicist and the mathematician, Yasuko’s overall plight, and the story of unrequited love. Negatives: only that the story is told at such a remove that it is hard to really emotionally engage with the characters. 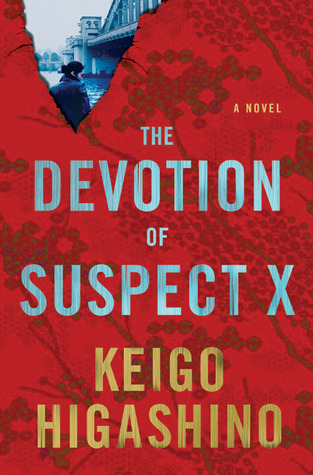 This entry was posted in Commentary, Review and tagged 1222, Anne Holt, Best Novel, Edgar, Keigo Higashino, MWA, The Devotion of Suspect X. Bookmark the permalink.